Repossession is the last thing most people want to happen when filing for bankruptcy. Debt puts assets at risk of repossession ? including your home and any vehicles. Losing a vehicle can affect your livelihood, but you can rest assured that filing for bankruptcy can stop car repossession. ?But, there are three ways to stop car repossession. The relationship between bankruptcy and repossession of your vehicle ?varies depending on the type of bankruptcy filed and when you purchased the car. Paying a lump sum equal to its fair market value ? although this is usually not an option for someone who is deep in debt. Signing a reaffirmation agreement can be an alternative that involves keeping the car loan separate from the bankruptcy process. The loan holder promises to make the regularly scheduled loan payments outlined in the original loan contract. Surrendering the vehicle to the lender is a simple way to reduce the amount of vehicle-related debt. The difference between the loan balance and fair market value of the vehicle can then be reclassified as unsecured debt and eliminated during bankruptcy discharge. Throughout the process of filing for bankruptcy, understanding your credit score and taking advantage of free credit report agencies is important so you can find out if you can save your car. Vehicle owners who are not making car payments are able to keep their auto during the filing for Chapter 7 ? only as long as the value of the vehicle falls below the vehicle exemption amount for their state. Filers must decide whether they want to surrender their vehicles or retain the vehicles by continuing to make payments, which can be done by filing a Statement of Intention with bankruptcy documents and mailing a copy of of the documents to the vehicle lender. Since Chapter 7 bankruptcy can only be filed every eight years, a huge financial setback could result if the individual cannot make the agreed payments. Individuals filing for bankruptcy should carefully consider whether they want to use reaffirmation to stop car repossession. The reaffirmation process begins with the lender issuing an agreement detailing terms that are similar to the old agreement. Individuals have leverage to negotiate revised terms because bankruptcy allows them to surrender the vehicle and cancel their liability, causing the lender to lose money. A lender may be more likely to reduce the principal part of the loan to reflect the current value of the vehicle. Whichever route the lender takes, it will be the heavy lifting of bankruptcy to stop repossession of your vehicle, which is important for you to get back and forth to work, etc. Once the terms of the documents are finalized, the individual signs and files the agreement with the bankruptcy court. At the bankruptcy discharge hearing, the judge will determine whether this agreement should be enforced. Your income, amount owed, and vehicle value will be considered when making this decision. If the reaffirmation agreement is approved, the individual will be liable under its terms after the bankruptcy concludes. Your bankruptcy filing will stop repossession by allowing you to enter into this reaffirmation agreement with the lender. Chapter 13 bankruptcy offers different options because it involves repaying the majority of debts. Vehicle purchase date determines how much of the loan will need to be repaid. If the vehicle was purchased within 910 days of the bankruptcy filing date, the balance of the auto loan must be repaid through the Chapter 13 repayment plan. If it was purchased before that date, the loan amount may be eligible for ?cram down,? which is the act of reducing the car loan to the fair market value of the vehicle. This makes the loan more affordable for repayment and allows the debtor to stop car repossession. Being able to maintain as much of the regular lifestyle as possible can make a big difference. The debtor will be able to travel without relying on public transportation. If you are struggling to keep up with bills and considering bankruptcy, consult with a bankruptcy lawyer to learn how to save your car. With a professional, you can determine which is the best option for your situation. Filing for Chapter 7 bankruptcy allows vehicle owners to reaffirm car loans or redeem their cars, while Chapter 13 may enable them to reduce car loan balances based on the date of vehicle purchase. 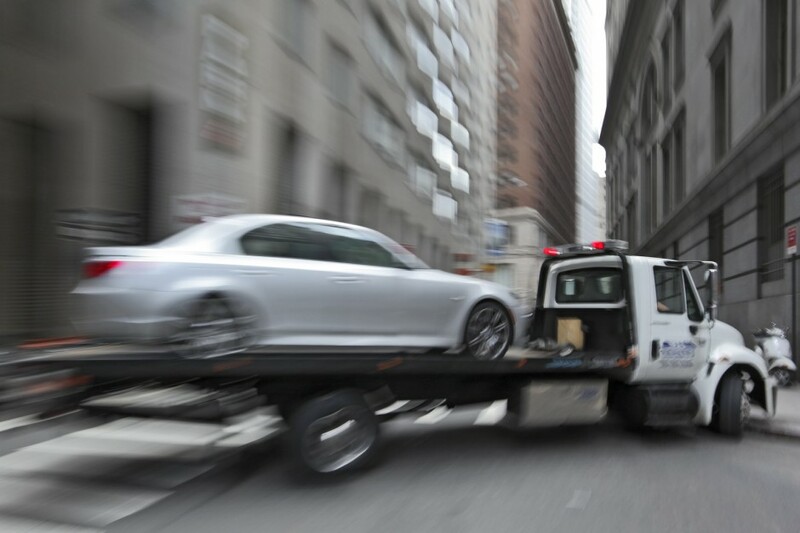 Being able to stop car repossession means one less thing to worry about during bankruptcy. Speaking to a bankruptcy attorney about how bankruptcy can stop repossession by entering into a reaffirmation agreement is important to do so that you will understand exactly what the process entails or your particular case.